I have sold a property at 649 Grenville AVE in VICTORIA. Gorgeous new built west coast contemporary home with ocean views in the quiet Rockheigts area. Home designed by Samantha Weeks Design Group. Close to shopping and the Naden military base. Walk to the new liquor store or Red Barn market or head down admirals to the thrifty foods. Very close to Saxe Point Park. 78 walkscore, most errands can be accomplished on foot. Huge flat back yard. This home boasts immaculate modern finishings, gas Fireplace, laundry room, heated bathroom floors. This home is setup for a legal suite, hugely reduce your mortgage. New home warranty, immediate possession Net GST included. Since no ongoing payments would be required with the Incentive, Canadian families would have lower monthly mortgage payments. For example, if a borrower purchases a new $400,000 home with a 5 per cent down payment and a 10 per cent CMHC shared equity mortgage ($40,000), the borrower's total mortgage size would be reduced from $380,000 to $340,000, reducing the borrower's monthly mortgage costs by as much as $228 per month. Terms and conditions for the First-Time Home Buyer Incentive would be released by CMHC. Budget 2019 also proposes to increase the Home Buyers' Plan withdrawal limit from $25,000 to $35,000, providing first-time home buyers with greater access to their Registered Retirement Savings Plan savings to buy a home. 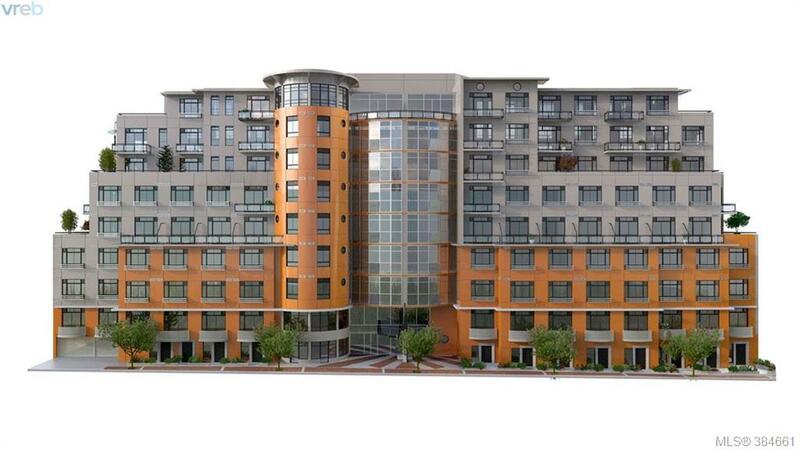 This newly approved condo project in Victoria West consists of 183-unit project on 210 Kitma Rd. The Developers are Mariash Group & Focus Equities. At 25 storeys tall it will have some of Victoria's best views. 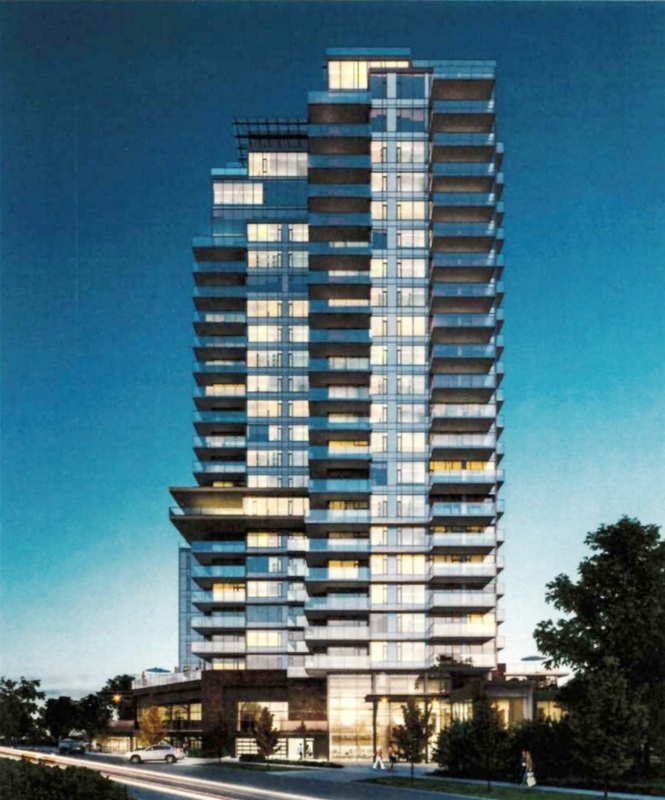 If you would like know more about another condo pre-sale project in Victoria that is one of Victoria's tallest buildings at 25 storeys high, learn more about the HUDSON ONE. To find homes in this price range click on the following LINK. When I think about affordable home prices for the average income in Victoria BC. I think of homes that are for sale under $ 600 000. It is not easy if you think about it, to have a mortgage on a home that is priced over half a million. You do not want to stretch yourself too thin as a home owner. You want to get into an affordable price range while enjoying a normal life. You do want to live pay cheque to pay cheque all while trying to pay off that mortgage. 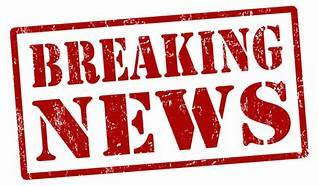 Now even though, my clients may want to buy a home in Victoria for under 600 000 I always encourage to sign to see homes over 600 000 a well, becaue you never know which of those homes can negotiate their price to being under 600 000. You do not want to miss out on those opportunities as well. A newer home in the price range of 600 000 will be further out from the Victoria Downtown core, almost taking you to Happy Valley in Langford or as fas as the Sooke. If you are ok, with driving over the Malahat, even more affordable homes would be found in Shawnigan Lake and Mill Bay. 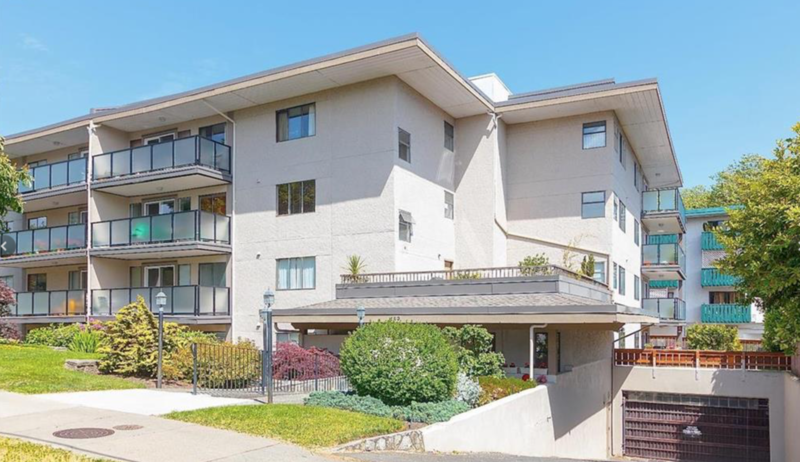 If you do not mind being in an older home or a fixer upper, than of course you may be able to find a home closer to downtown, in Esquimalt, Mayfair area, or even View Royal neighbourhoods. But before I keep going on in this blog post ha ha , what type of a home are you looking for? A condo, townhouse, duplex or a detached home....Remember a home can mean many things :-) . Lets talk soon. Have you been dreaming of walking out your door and strolling into Cook St. Village, Beacon Hill Park and Downtown without having to use your car? 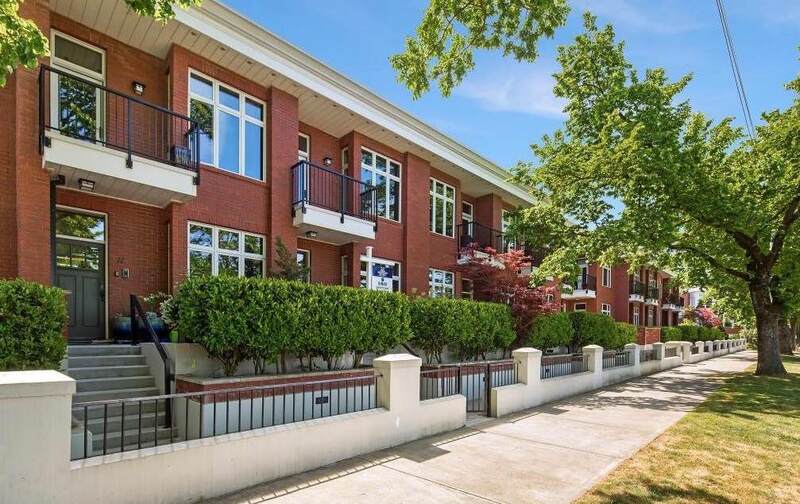 Now is your chance to own a spacious condo within walking distance of Cook Street Village, Beacon Hill Park, Moss St. 439 Cook St is a fantastic building. Close to market and the beach! This home is located on the quiet, rear side of the building and features two large bedrooms, an ample sized kitchen and a quiet balcony to soak in the sun. The building features a sun drenched shared outdoor patio for BBQ's and entertaining. Pride of ownership is evident throughout the building building and the balconies have been newly completed within the last year. You will certainly appreciate the secure underground parking and generous storage that come with the unit. 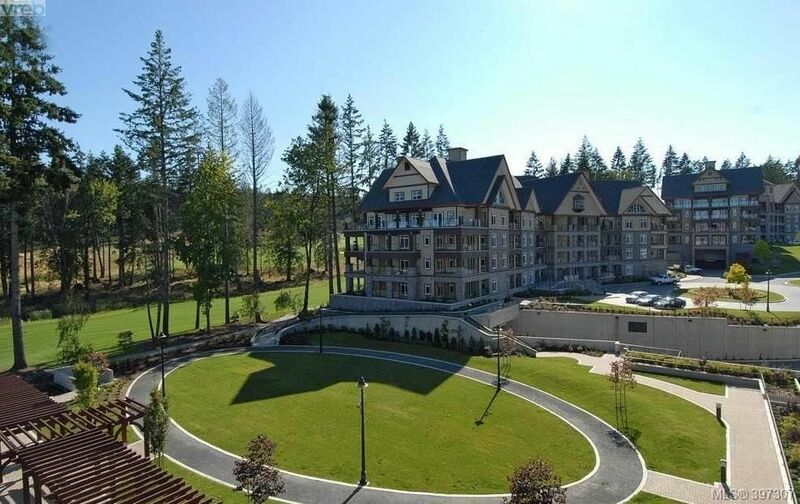 This condo will allow you to enjoy an active lifestyle in one of Victoria's most vibrant communities. Car charging stations are being installed. Many upgrades have been done in the building and you will enjoy the fantastic location. Call now to see what is available for sale in the building.  For more information on 439 Cook St click on the following LINK. Property Guys Victoria BC - What I can offer you ! Are you looking to sell your home ? and you want to save money? Google "Victoria Top Realtor " click on the Yelp link and on the Rate my agent link ... You will see that out of thousands of agents in Victoria I am ranking top on google ( not my doing but by google ) as a top realtor. It's just property guys ...but ...not to me . It is your investment and I want you to get you the best return. I make sure that for your property, I market it in top prints and publication and I give it the maximum internet exposure I can get...BEST PART is..I offer you a deal while exceeding your expectations. 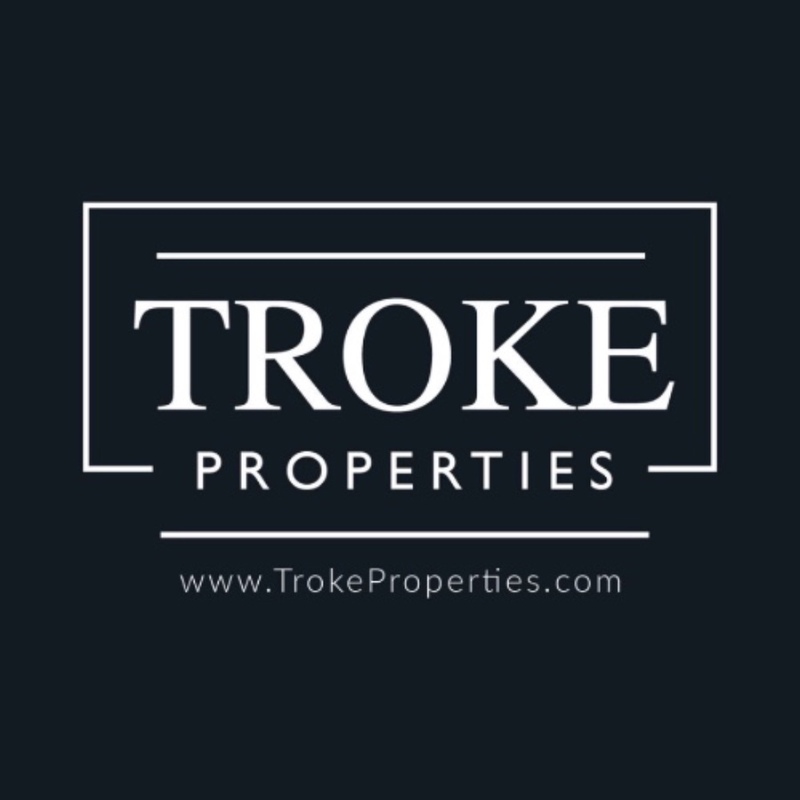 Have any other questions about your property? I can pull your title and review it with you for free. Further I can discuss all your options. Great value and great service. If you would like to arrange a meetup, please click on the following link Looking forward to hearing fro you soon. Jukebox Victoria now over almost sold out ! Another exciting condo project brought to you by Mosaic Properties Inc., a 9 storey concrete & steel residence that’s designed to let you experience the “WOW” factor from the second you step into the lobby. 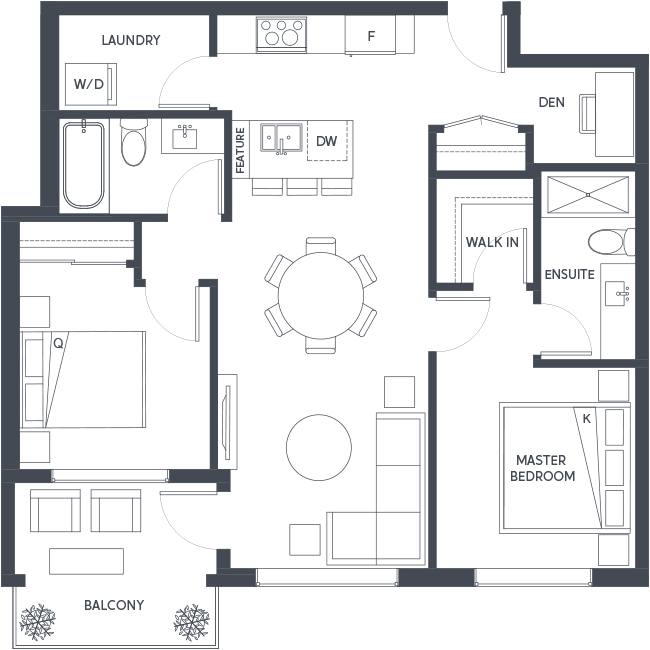 Numerous floor plans to choose from including studio & one bedroom +. Obsessive attention to detail throughout with average 10 ft. ceilings, gleaming hardwood floors, quartz countertops, GE Loft Series appliances in kitchen plus in-suite laundry. The Pre sale condos are a must see ! Relax in the meditation garden or sweat it out in the fitness centre. 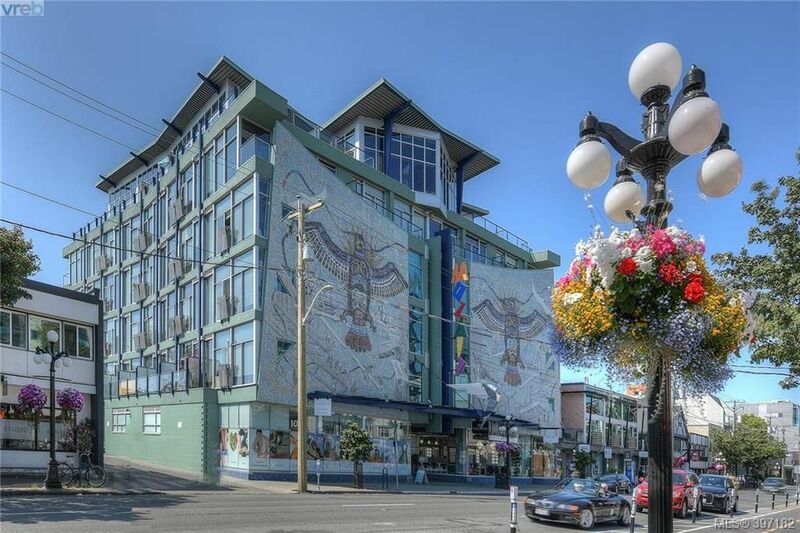 Located in Harris Green neighbourhood, right next to Victoria's vibrant downtown core & within walking distance to shops, restaurants and the Inner Harbour. Scheduled Completion early 2019. Stay tuned for the Jukebox Victoria. A few questions that people are asking about this project are? How much are the strata fees? Well for 603 sqft strata fees are $231 approximately. Can I get access to floor plans and the bylaws the Jukebox building? Absolutely you can! Contact me and I can see you information on what floor plans are available along with bylaws and disclosure on 1029 View St. Note there are other pre-sale projects in downtown Victoria. Let's meet to discuss further. If you any questions on this Pre-sale project or if you like to see other pre-sale projects. Click on the following link to contact me. Want to know what your home is worth? Contact Me for a market evaluation! Click to see the latest of homes for Sale in Victoria. Click to see the latest list of Condos for sale in Victoria. Click to see the latest list of townhouses in Victoria for sale. Click to see the latest list of luxury real estate for sale in Victoria. Thinking of selling? Here's what my clients are currently looking for! Let's find your perfect place to live, love and laugh, let’s make your dream a reality. Click Here to Begin! "Shirin was wonderful to work with. She listened to our expectations for selling, helped formulate a plan and sold our house in record time! We found her very professional!" "I've had AWESOME experience working with Shirin as my Realtor. We left our home in Toronto in Dec 2016 and took a bold step in buying a house in Victoria in April 2017 but knew no one here. She communicated with my whole family about differing needs staying in constant contact with important information - both basic and complex stuff. She listened in terms of adapting to our needs from understanding our time frame to giving references/contacts to sharing local knowledge honestly. She is hardworking, technology savy, detailed oriented, tenacious!." Please click here to see more testimonials! "When it comes to buying, insuring you make the right decision is my priority and I have your long term, best interest at heart. If something is not right for you, I will tell you, straight. When it comes to selling, I take marketing to an entirely new level. Call me to find out how!" Copyright © 2017 Shirin Purewal BC HOME GROUP Jonesco Real Estate Inc., All rights reserved. Real Estate Tax Changes in Greater Victoria - Please Read this is Important ! The speculation tax applies to residential property in British Columbia’s largest urban centers facing the housing affordability crisis. The tax applies in the Metro Vancouver Regional District (excluding Bowen Island and Electoral Area A, except the part of the electoral area that is the UBC and University Endowment Lands), the Capital Regional District (excluding the Gulf Islands Juan de Fuca), Kelowna-West Kelowna, Nanaimo-Lantzville (excluding Protection Island), Abbotsford, Chilliwack, and Mission. Most islands are excluded. Over 99% of British Columbians will be exempt, because the vast majority of homes owned by British Columbians in the province’s urban centers will either be owner-occupied or will be rented long-term. AllCanadian home borrowers are required to qualify for 2% more than their contracted mortgage rate when applying for a new mortgage. 5% GST is payable on the purchase price of newly constructedor substantially renovated residential homes. Substantially renovated is defined in the legislation as the removal or replacement of most of the house construction components except for the foundation, external walls, interior supporting walls, floor, roof and staircase. This includes assignment of contracts. GST is not applied to used housing, as the first owner of the property would have already paid it (unless substantially renovated – see above). If the purchase price is $350,000 or less, new home buyers can apply for a rebate of the 5% GST. The rebate is up to 36% of the 5% GST to a maximum rebate of $6,300. Assume the purchase price of a new home is $350,000 excluding GST. The gross GST. is $17,500 (5% of $350,000). The GST New Housing Rebate is 36% of $17,500, which is $6,300. Thus, the applicable GST. is $17,500 less $6,300, which equals $11,200. If the purchase price is between $350,000 and $450,000, there is a proportional GST rebate. Which equals $3,150. The gross GST would be 5% of $400,000.00, which equals $20,000.00, less the partial GST New Housing Rebate of $3,150.00, for a net tax of $16,850.00. If the purchase price is over $450,000,there is no GST New Housing Rebate. * Please note that the Developer may agree in the Contract to credit the Purchaser on completion for the rebate, but not all Developers allow this. If they do not, the Purchaser will have to pay the full 5% GST on completion and will then have to apply directly to C.R.A. for the GST New Housing Rebate after closing. This means the Purchaser will have to ensure that they have additional funds to cover the 5% GST on completion. Note the GST New Housing Rebate is not available to a corporation or a partnership. If the developer pays the GST, the buyer will be required to sign over the rebate to the developer when it is received. * Please note that the Developer is not allowed to credit the Purchaser on completion with the GST NRR Rebate. This means the Purchaser will have to pay the full 5% GST on completion and then claim the GST NRR Rebate afterwards directly from C.R.A. The Purchaser will have to ensure that they have the necessary funds to cover the 5% GST on completion. Property Transfer Tax on residential properties is 5% on the portion of the fair market value greater than $3,000,000 effective February 21, 2018. Foreign Buyers’ Tax is 20% as of February 21, 2018. It has also been extended outside of the Greater Vancouver Regional District to include the Capital Regional District, Fraser Valley, Central Okanagan and Nanaimo Regional District. 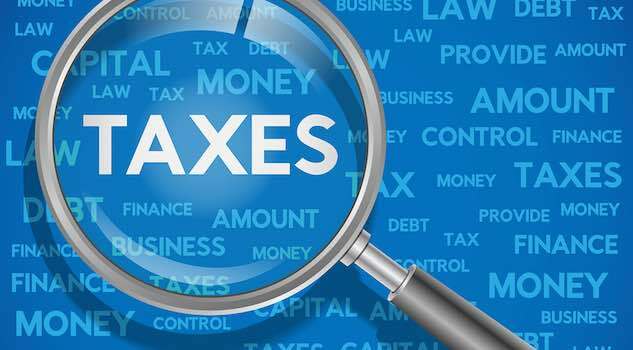 Foreign entities in these taxable regions are subject to this tax (persons who are not a Canadian citizen, Permanent Resident or registered under the Provincial Nominee Program). If the property transfer is registered on or before February 20, 2018 and is within the Greater Vancouver Regional District, the tax amount is 15% of the fair market value of your proportionate share. Home Owner Grants are a type of tax relief from property taxes for an owner of an eligible property, if he or she occupies it as a principal residence. Grant is available in full for homes having an assessed value of up to $1,650,000, but is phased out entirely for homes having an assessed value of $1,764,000 or more. Owners must generally pay at least $350 in Property Taxes before obtaining the benefit of the grant. Homeowner Grant Threshold is the maximum value of an assessed or partitioned property where home owners are eligible to claim the home owner grant. You may be able to claim the full grant amount if your property has an assessed or partitioned value of $1,650,000 or less. 1) You receive provincial disability assistance, hardship assistance or a supplement under the Employment and Assistance for Persons with Disabilities Act. 2) You’re disabled or have a disabled spouse or relative living with you in your principal residence and you (a) pay at least $150 per month during the calendar year to help the person with disabilities with daily living activities in your principal residence, (b) have spent at least $2,000 for a qualifying modification to your principal residence, or (c) purchased your principal residence with a qualifying modification completed by a previous owner and the modification cost at least $2,000. Most veterans can apply for the homeowner grant as a person under 65 (basic grant), senior, or person with a disability. Canadian business owners are facing recent tax changes that may have a significant impact on them: restrictions on income splitting, and the small business deduction grind in relation to passive investment income. These changes mean that income distributed by Canadian businesses, and investments made by them, could be taxed at a higher effective rate. Despite the complexity of the new provisions and the confusion caused by them, a little preparation now can go a long way towards mitigating the financial headwinds. 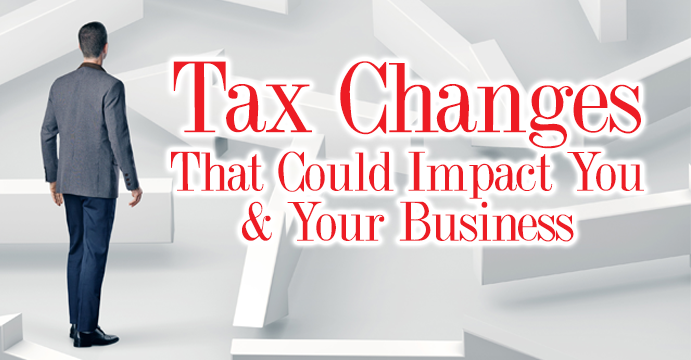 Grant Thornton works with businesses like yours to manage challenges and realize opportunities – to help business owners navigate through these tax measures in this new environment. For more information, or to speak to an advisor, please contact us. As of September 17, 2018, individuals with a significant interest in a corporation or trust that acquires real estate property may need to be identified on the property transfer tax return. In addition, the Province is establishing a public registry administered by the Land Title Survey Authority to record beneficial ownership of land, such as corporations and trusts. During the transition stage, the Province will require all individuals who own a beneficial interest in property to disclose such interest. The Province will also be enacting legislation that will require corporations in B.C. to hold accurate and up-to-date information on beneficial owners of land in their own records office to be available to governmental authorities. Although the Province has not announced any tax liability with respect to the foregoing, it may be that corporations and bare trusts may incur tax liabilities in the future. Clients intending to purchase through a corporation or trust are well advised to obtain advice from qualified tax advisors or a lawyer prior to entering into contracts of purchase and sale. More information can be found at the following link: https://www2.gov.bc.ca/gov/content/taxes/tax-changes/whats-new/property-taxes. 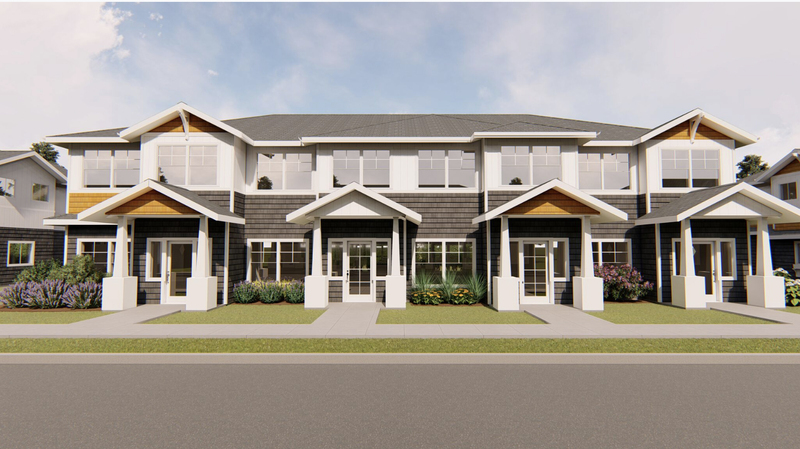 Perfectly positioned in the vibrant Cedar Hill neighbourhood, the sought-after collection of one and two bedroom homes at Fifteen88 will be launching in a few short weeks. Surrounded by lush natural spaces and steps to everything you love about Victoria, this sophisticated collection of homes has been receiving a lot of attention lately, and with great reason. For the first time in several years, we're thrilled to unveil a collection of homes that will be priced starting from below $300K! We’re thrilled to share with you the Preview Package for Fifteen88, offering a first look at the unique highlights of these homes, a carefully-curated sample of floorplans, and more. 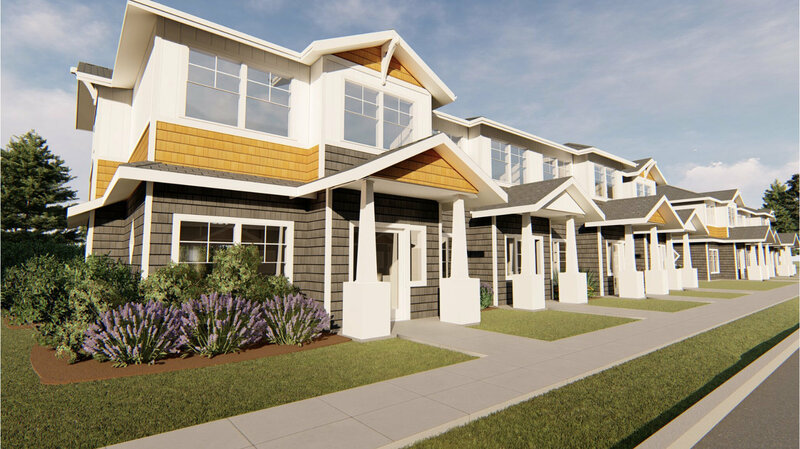 Boasting striking architecture and offering a contemporary collection of One and Two Bedroom homes in the vibrant Cedar Hill Neighbourood, with prices starting in the low $400K's, it's no wonder that so many people have decided to call Fifteen88 home. Now 65% sold, we still have a wide variety of sophisticated homes available, with areas ranging from 568 - 1,295 sq. ft. This expansive, south-facing Two Bedroom, Two Bathroom and Den Bedroom home offers two spacious bedrooms separated by a bright, open-concept living area with generous kitchen with room for a full-sized dining table. This home includes underground parking, Modo Car Share Membership, storage locker, and access to Fifteen88’s common amenities including owners patio and bike maintenance workshop. With over 900 sq. ft. of thoughtfully-designed living space and only three of these homes available starting from $599,900. As with every home at Fifteen88, enjoy contemporary details like overheight ceilings, gourmet kitchen with custom millwork including pull-out pantry and open display built-ins, and three stunning palettes to choose from by award-winning Nygaard Interiors- just to name a few. 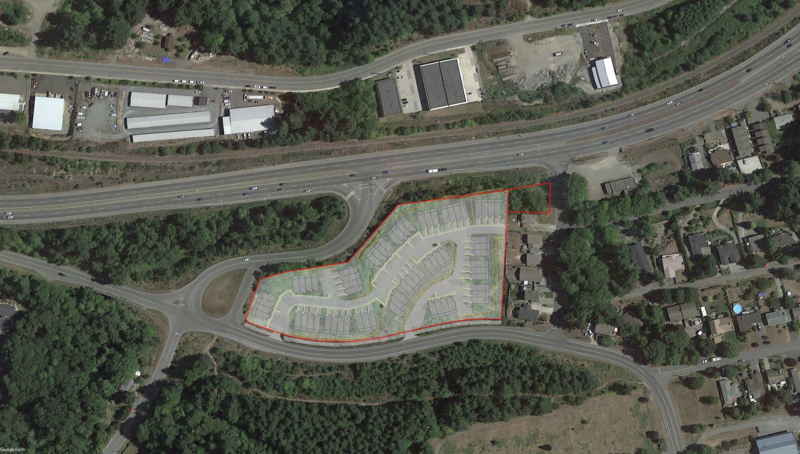 This 4.72 acre, 66* unit townhouse development site is located just minutes from downtown Ladysmith, with forest, mountain and potential water views, existing service connections, and two access points off Christie Rd (Both North & South bound lanes along the Trans Canada Highway. The property is zoned R-3-A (Low Density Residential) and has an approved development permit in place. Engineering and site plans are available. Inquire today! I have sold a property at 211 3900 Shelbourne ST in VICTORIA. Very large and very spacious 2 bedroom, 2 bath condo that offers almost 1300 sq. ft. of living space. 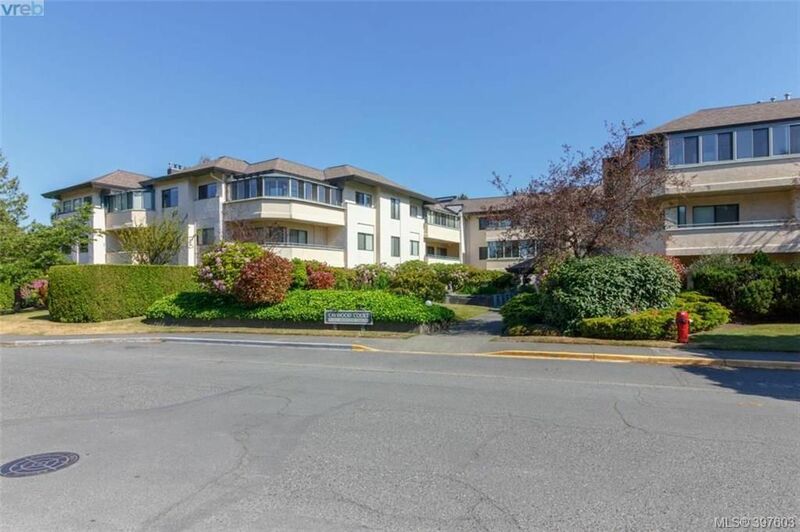 Caywood Court is conveniently located in the Shelbourne corridor and is close to absolutely everything including all levels of shopping, medical offices, bus routes to town and the University of Victoria. 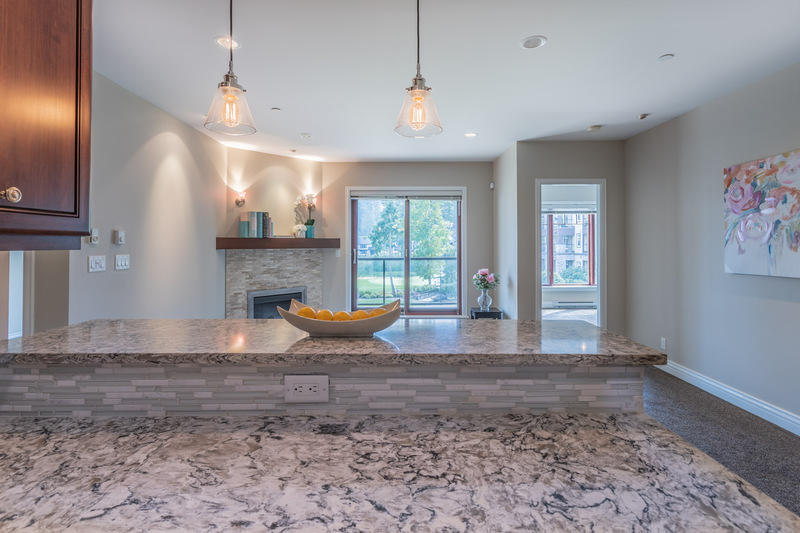 The bright and open floor plan offers it all, including eat-in kitchen, dining area, spacious living room and ideal for anyone thinking of down-sizing, as you'll have ample room for any and all of your furniture. This unit is on the 2nd floor with a south exposure on a nice size patio. Other features include fireplace, in-suite laundry, covered parking, and a full ensuite bath. Caywood Court units are fully rentable except short term. "Many demand-side measures were introduced this year - including a stress test on mortgages -which altered many buyers' purchasing power," adds President Kerr. "These new policies are having the desired effect of slowing the market, though it is likely that over time the market will normalize these changed conditions. Our strong local economy and high employment rates may bolster demand into the fall as people return to work after their summer vacations. Fall numbers will be an interesting indicator of our year to come as we continue to track low home inventory in a changing marketplace. For an up-to-the-minute understanding of your local market as fall sales unfold, connect with your local REALTOR®." I have sold a property at 212 1061 Fort ST in VICTORIA.